Ambient Heating & Air Conditioning did a great job. Fast and solid quoting, good scheduling, good communication through the various phases of the project and good manpower to finish the boiler installation in one day. Excellent! A positive experience from start to finish! What a terrific hard-working crew of guys. Everyone did a great job! Excellent service! Ambient Heating & Air Conditioning installed our new a/c and furnace. The work was professionally completed! We only had one small incident which was taken care of very quickly. The technician performs very professional work in a friendly, but businesslike manner. Thank You for providing EXCELLENT customer service! I had the pleasure of having your company come to my home for a ventilation system cleaning & I just wanted to take a moment to let you know how much I appreciate the professionalism that was involved. You explained the process to us, not knowing that my husband has worked in the heating and air business for several years. Once he explained the procedure, he was quick to start and finish his job! Very good heating contractor. Ambient Heating & Air Conditioning is a great company to do business with from the office personnel to the maintenance technicians. I just had Zack do some work on my boiler and wanted to commend you on your choice of service techs. Zack was very honest and efficient offering good advice regarding courses of action to solve problems with my boiler. It is evident that he takes pride in his work and wants to fix things the right way. Thanks again! I will call you guys again for service because you sent him. Ambient Heating and Air Conditioning company recently removed an old ac unit and replaced it with a new air conditioning installation. They worked diligently and methodically for about six hours straight without a lunch break or anything! They worked in a very confining space which added to the time and discomfort but they never complained. We are so impressed with their dedication and commitment. And they were very neat and tidy too. They have earned a customer for life. 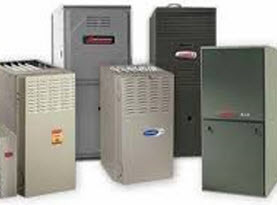 We will continue to call them for any future ac repairs and air conditioning maintenance needs that come up. Great job! I called Ambient Heating & Air Conditioning company to install the residential air conditioning unit at our house in Springfield. We were so impressed. They responded quickly, gave us a competitive quote on the ac installation, explained all of the ins and outs of the new unit and billed us as quoted once the job was completed. It was really nice to have no surprises. Their service was professional and friendly. We would definitely recommend them to others and would not hesitate in using them again. In fact we have already recommended them to my brother for the commercial air conditioning maintenance at his office. 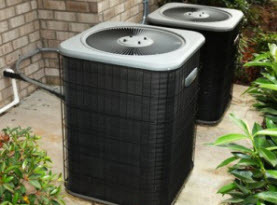 Every summer I suffer through the horrible heat, but this summer was different, it seemed hotter than any other summer I’ve experienced before, and I just knew I had to buckle and get an air conditioner. I went with Ambient Heat and Air Conditioning because my sister had used them before for a repair. They installed an air conditioner quickly, and they saved the rest of the summer for me. It was the best, non-sweatiest summer on record! Repaired Frigidaire Furnace. - I called Ambient in the morning to have them come over and look at my 3 year old Fridigaire Furnace that was making a loud clunking sound. They sent someone over the same day to look at the furnace. The tech concluded that the blower motor was bad and he called around and was able to find one. Not only did he install it, he also checked to see if the part was still under warranty, which it was!! We only had to pay for installation. The part along would have been over $800. I was extremely happy with him taking the time to check on the warranty for me and get the job done so quickly. My boiler was acting a bit funny, so I decided to call these guys ASAP. I used them before for some regular maintenance, they did a great job then, so I was hoping they’d do a great job now, and they did. Popped in, spotted the problem really fast and fixed it just as quickly. I can not say enough good things about Ambient Heating & Air Conditioning! 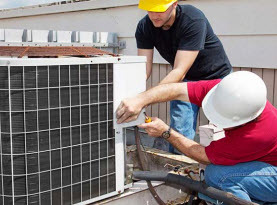 I had an emergency residential ac repair and they were able to get to my home the following day to do the ac inspection and after finding the problem Ambient Heating & Air gave me the quote and to my surprise it was affordable. I told the air conditioning technician to go ahead and do the work that needed to be done. What was more impressive was that he had the part needed to do the air conditioning repair on his truck. The technician from Ambient was friendly and professional and my air conditioner fixed in a timely manner. 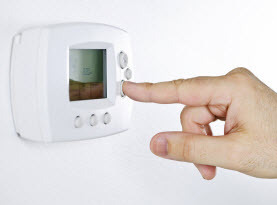 I will continue to use Ambient Heating & Air Conditioning for all of my home ac needs like the ac maintenance and any repairs that I may need in the future. I HIGHLY recommend Ambient to anyone looking for home or commercial air conditioning repairs, maintenance or even installation. Thanks again! We had Ambient Heating & Air Conditioning out to do our residential air conditioning installation last summer after our decade old air conditioner quit for good. The ac replacement went smooth and we kept Ambient on for the a/c maintenance too. A few weeks ago we switched from our heating to cooling because the weather hit that weird in between season time but we had some problems starting it up. We called Ambient out for a spring air conditioning tune up and the ac contractor spent a lot of time looking at our system and even adjusted the airflow to our bedroom and bath. It made a significant improvement to an issue we had been putting up with for a while as it didn't occur to us that it could be fixed. We are so relieved that preventative maintenance through Ambient has saves us a lot in hvac repair costs. I would highly recommend Ambient for any furnace or ac problem you might be having. They are heating and air conditioning specialists! Our hvac ran without stopping but never heated the house up right. We got a new one installed by Ambient HVAC service and we are seeing the savings already. I can't say enough about Ray and his crew. We called Ray on a Saturday and he came out that day to take a look at the problem. They installed a new central AC and then found out I needed a new furnace also. Ray and Paul are businessmen with integrity and honesty. They kept us informed through the whole process and kept the cost to me affordable. Nice guys and great businessmen. I trusted and they came through for us. Thank you Ray and Paul for making a tough situation a little easier to handle. Highly recommended.